Stamford Town's winning team from the 2015 Burghley sixes. Holders Stamford Town take on first-time entries Oundle Town in the opening match of the Burghley Park sixes tonight (July 4, 6pm). Stamford have won the popular competition for the last two seasons. They pipped Nassington in an exciting final last year. Nassington are up second tonight against Laxton Park, while the final game is a clash between Empingham and Ketton. The competition runs all week with the semi-finals and final scheduled for Friday (July 8). Each night of sixes action is preceded by an all-day friendly starting at 10.30am. Opponents for Burghley this week are Ex Tempore XI, Authors XI, Gentlemen of Lincolnshire, Gentlemen of West Norfolk and Gentlemen of Leicestershire. Monday, July 4 (First round): Stamford Town v Oundle Town, Laxton Park v Nassington, Empingham v Ketton. Tuesday, July 5 (First round) Burghley Park v Market Overton, Uffington v Ufford Park, Barnack v Uppingham. Wednesday, July 6 (First round): Newborough v Castor, Baston v Oakham plus first quarter-final. Thursday, July 7: Three quarter-finals. Friday, July 8: Two semi-finals plus final. 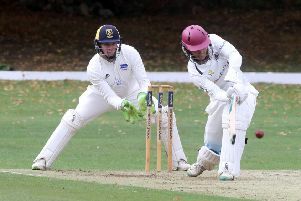 Twenty/20 action in the Stamford KO Shield and Stamford Charity Cup takes a break this week, but Ramsey and Godmanchester in the Hunts ECB’s Gifford Cup Final at Cricketfield Lane tonight (6pm).